Listen, I love teen dramas. It's just a fact of life. I always have, always will. So when Riverdale launched on The CW, taking Archie and the gang of yore and giving them a Lynchian-lite makeover, I was ecstatic. Now, take that excitement, and throw in some Harry Potter. Hear that? That's my brain exploding. I'm a sucker for both of these fandoms so as soon as I hear anything about a project that feels a little bit like both of them, well you can count me in 100%. Now let's just throw some fuel on that fire. 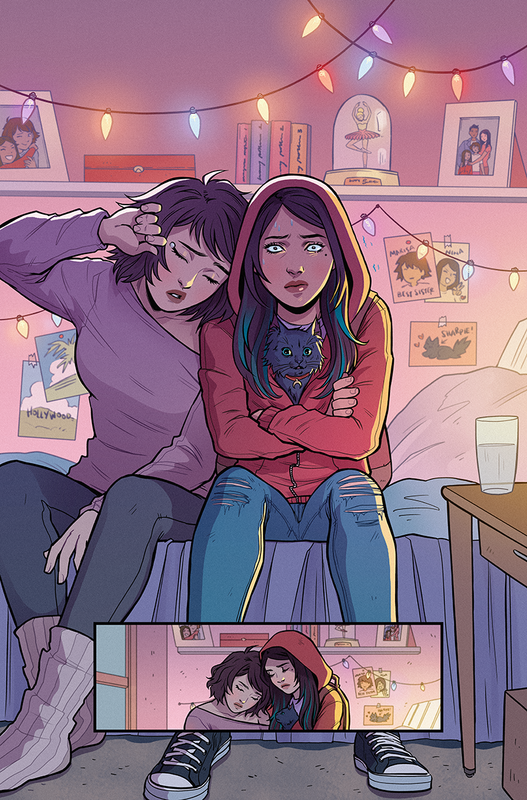 Not only is the comic coming from Image, who is on an unrealistic hot streak right now, but it's also from the minds of Sam Humphries, whose work on Nightwing and Harley Quinn is nothing short of explosively fun, but also artist Jen Bartel, who has done some killer work on Thor. What I'm trying to say is that Blackbird looks like just the kind of horror adjacent comic I want, nay, need in my life. Check out the full release statement below as well as a few pages from the Image title, coming our way the first week of October.